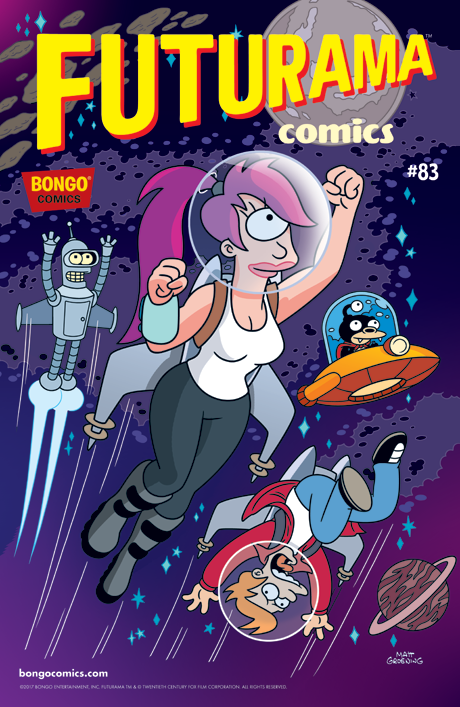 Futurama Comics #83 is available for purchase on the Futuramaland app! While helping Leela with some volunteer work at the Orphanarium, Fry tells the children the bedtime tale of Bendocchio, the little robot who wishes to be a real meatbag. And with a little help from the Bluetooth Fairy and the keeper of his conscience, Jiminy Circuits, he may very well get his wish! The Futuramaland app is available for download from the iTunes App store and Google Play.